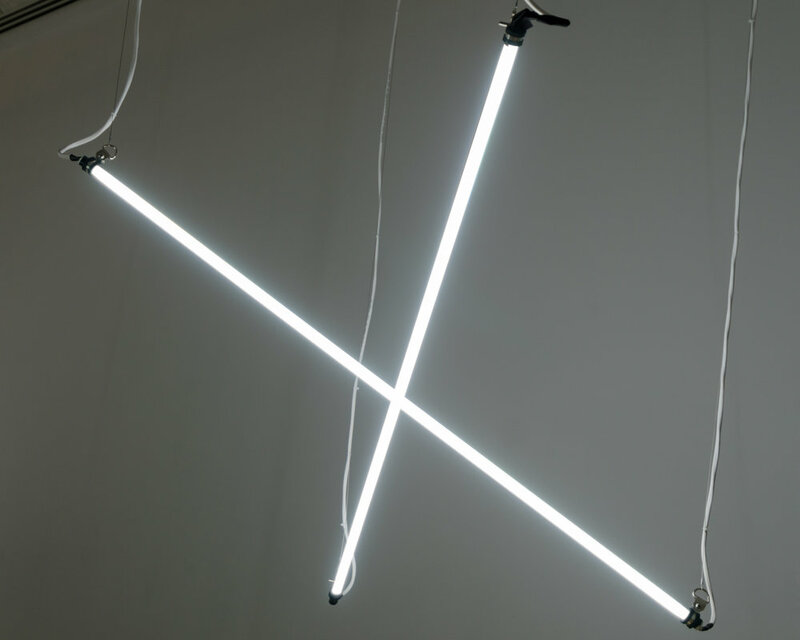 The Vital Light, detail view, 2015, fluorescent light bulbs, cedar, wires, electronics and hardware. Mercury playfully reconfigures the gallery as an active site of social encounter, aesthetic investigation and knowledge production. 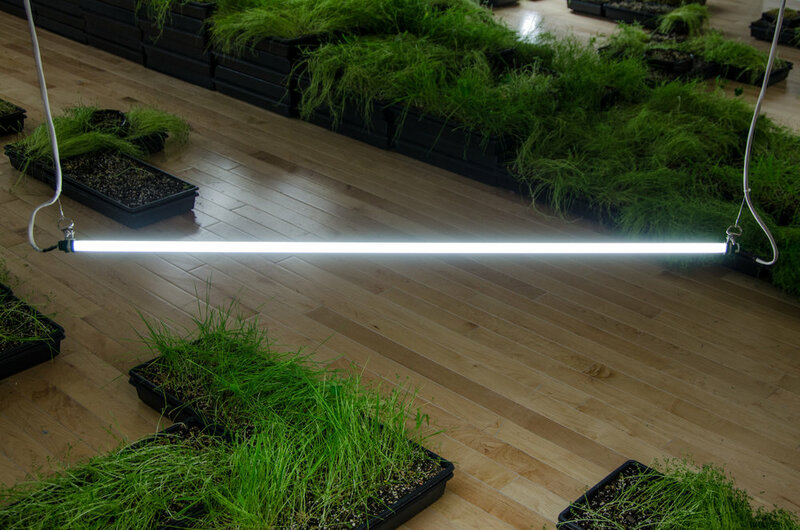 Collaborating artist Linda Tegg gathered over 5,000 plants in the gallery through her living modular landscape titled One World Rice Pilaf. 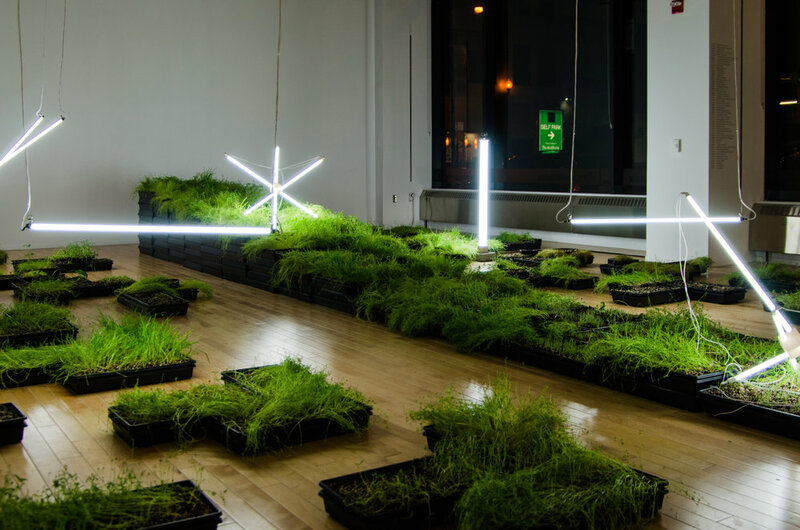 Embedded in this landscape, The Vital Light, a series of fluorescent light sculptures by Brian M. John, acted as a source of sustainability for the plants. With the gallery as a test site, these components shifted continually in a responsive exercise of coexistence and interdependence. Over the course of the exhibition, the artists choreographed their interdependent works in a dance of varying proximities; in seven different configurations, the topology itself became mercurial. The chemical mercury is a substance poisonous to humans yet at the same time it exists as an amorphous, animated, and metallic blob which invites play. John’s fluorescent tubing was composed of this active chemical element which in turn provided light to Tegg’s plants. 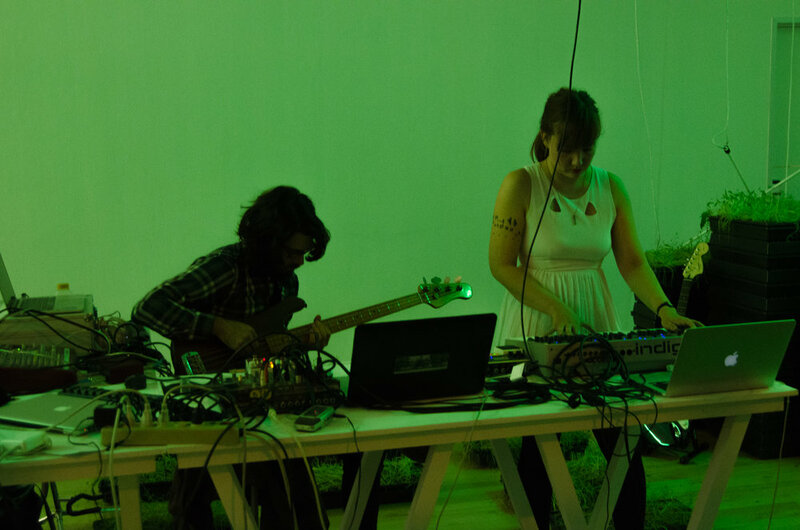 The co-dependent elements are drawn into symbiotic immediacy through this relationship. Tegg’s living, modular landscape re-imagined supermarket commodities as an inhabitable landscape. Driven by curiosity, Tegg propagated grains and legumes sourced from Chicago supermarkets resulting in a complex of dense biodiversity. One World Rice Pilaf tests the elasticity of our cultural conception of nature through an investigation of the perception of the naturalistic and utilitarian landscape. Throughout the exhibition, Tegg and John embedded themselves within the work by arranging and care-taking. The artwork invites audiences to engage in a unique phenomenal experience as common grains categorically shift from consumable product to a living plant community. 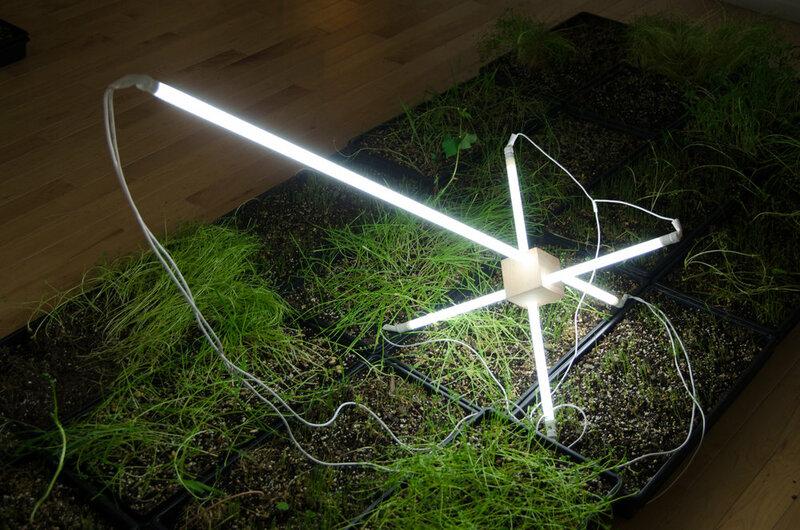 While the organic matter in the exhibition depends upon John’s light sculptures, the plants give The Vital Light meaning and purpose in return. The piece is at its essence an aesthetic exploration, but one imbued with necessity. These divergent priorities sometimes clash. For example, the fluorescent light bulbs are designed to emit frequencies of light tailored to plant growth. To the human eye, however, they are as eerie as they are beautiful, embodying the tension between the space’s human and non-human inhabitants.